Alnor Senter, Tromsø, Norway (69°39'15.01" North). Both the claimants are correct. It all depends how a mosque is defined. In a broad sense the term 'Mosque' most commonly refers to a space which has been permanently or semi permanently demarcated as a place of public Muslim worship. Dome and/or minaret are not compulsory, have no religious significance but are just part of traditional Islamic Architecture. While the Nurd Kamal Mosque in Norilsk - the Northern most city in Siberia, is a custom built mosque with a dome and minaret, the Alnor Senter in Tromsø, Norway has no dome and no minaret. It is housed in a portion of normal building which has been been declared as mosque. There are many such mosques in Europe, America and other parts of the World which are not custom built and are located in some house/complex some or whole area of which has been declared and used as a mosque. Thus the main difference between the two is architectural. One has a dome and minaret and the other is just a plain structure. 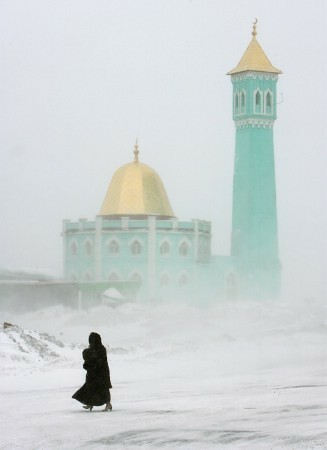 Although Wikipedia says that the Norilsk mosque in Siberia is the Northern most I feel that functionally (and not architecturally) the Tromsø mosque is Northern most. The mosque is located in a modern building complex which has both residential as well as offices also. Only a small part of this building is occupied by 'Alnor Senter' which was till 2006 known as Al Noor Mosque. 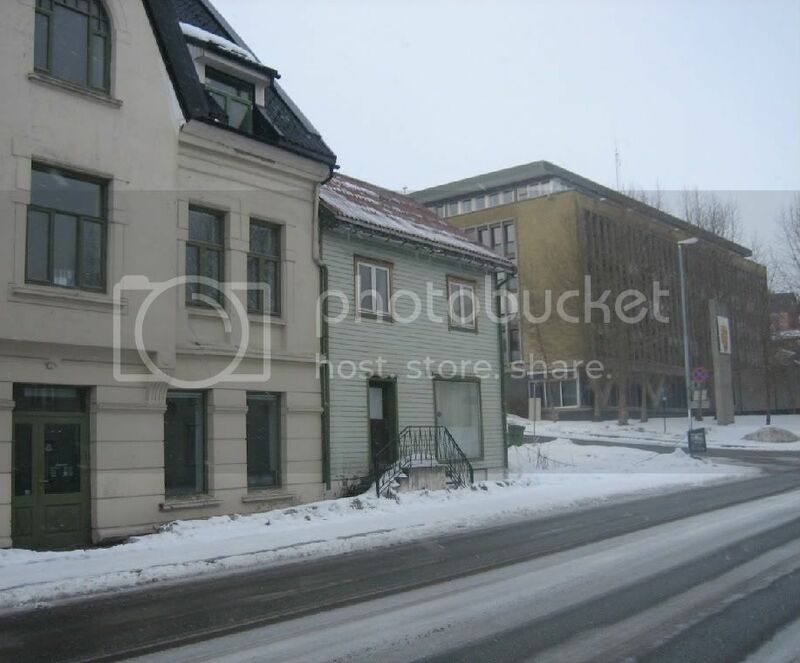 The Arctic city of Tromsø has an estimated Muslim population of 700 to 800 individuals. In fact there are two mosques in the city. Other being Al Masjid al-Rahma (69°39'9.41"N) which is older than the Alnor Senter. Since Alnor Senter is in north of the older mosque, the Alnor Senter is considered as the Northern Most Mosque in the World. Here are the images of two mosques. 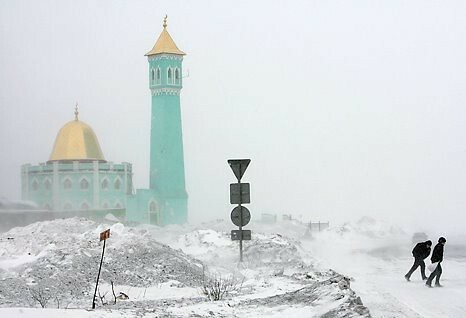 Nurd Kamal Mosque, is located in the city of Norilsk which not only has one of the the most harshest climate amongst the populated places but is also amongst the 10 most polluted place in the World. The city was built in 1930 on one of the world’s richest metals deposits and today its power and smelting plants send smoke thick with sulphur into the air. Norilsk has an extremely harsh climate. Average temperature is approximately −10 degrees Celsius, and the Polar winds drop the temperatures here to as low as −58 degrees. The city is covered with snow for about 250-270 days a year, with snow storms for about 110-130 days. The mosque, opened in 1998, was built by Mukhtad Bekmeyev, an ethnic Tatar and Norilsk native who doesn't stay here any longer. The town has about about 50,000 Muslims, however only about 500-800 are regular visitors to the mosque. Amazing out of this world photos! Thanks for bringing an old post in the GEC back to life and honoring Red and Tychee! Thank you Kite for your words of praise. The travelogue is an off shoot of my association with GEC so many of my posts here came from the archives of GEC, which is a virtual treasure house of info on many subjects. this informations about alnor senter is not true. there are many mosques which are located farther away in north norway, like in hammerfest and vadso and alta and in many other cities in north norway. Based on your comments I did a quick search on WWW and as per this Link some new mosques do exist further North. If you can furnish me some more details and/or images I will be happy to include the same here. Another Arctic mosque is also planned in Murmansk (68°58′N). However the AlNor Senter and other mosques in North Cape, as mentioned in this webpage, still remain the most Northern most mosques. 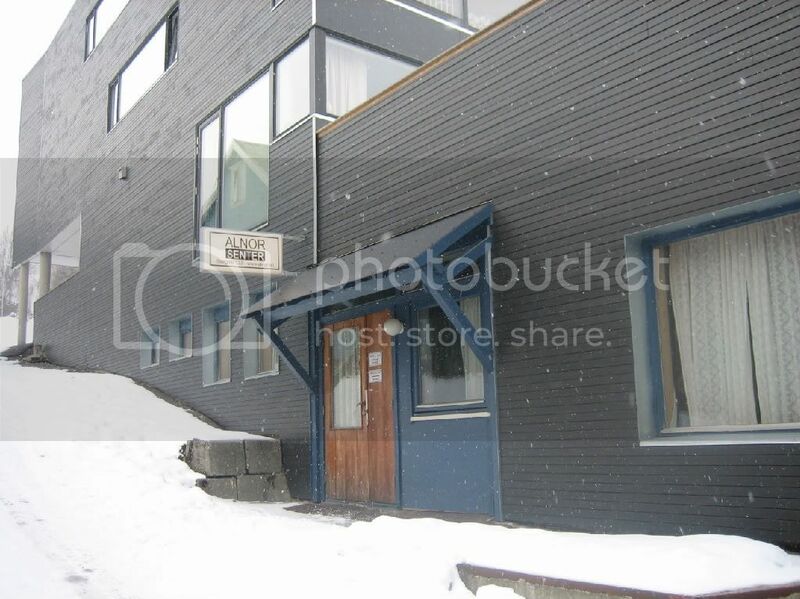 Alnor Senter is the Most northern Mosque (as it has been purchased), as the others in Alta, Hammerfest and Kirkneses are rented premises. A Mosque must owned to be called a Mosque. Thanks so much for this informative articles. I love to share with those friend of mine in a group called "Mosques Around the World".